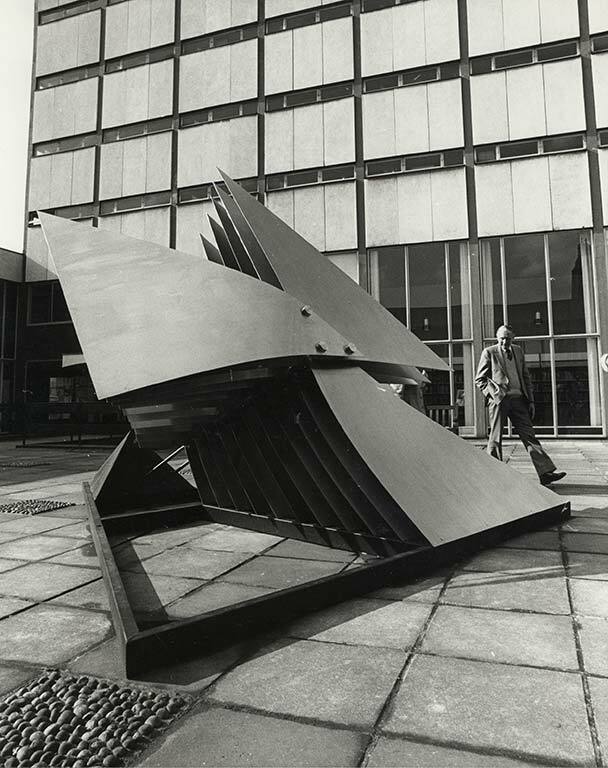 Winning sculpture of the Norwich Triennial Festival Sculpture Competition in 1982. 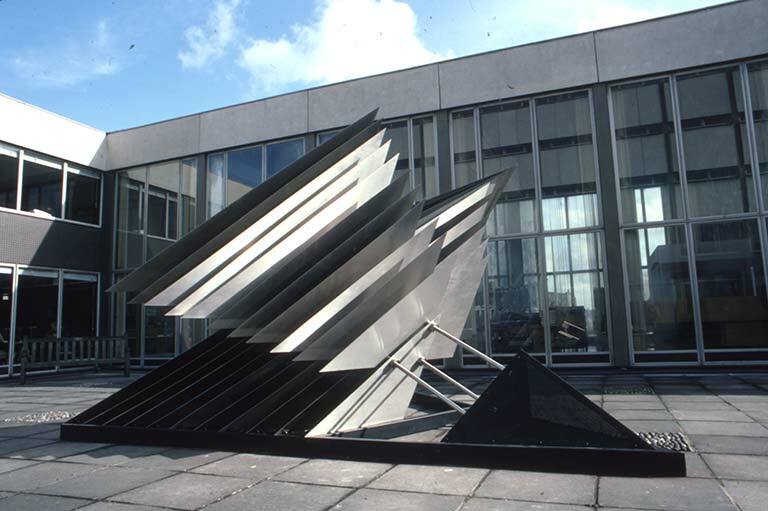 The brief was to design a sculpture for the inner courtyard of the Norwich Central Library. Lijn played with the idea of layers or leaves as in the pages of a book. 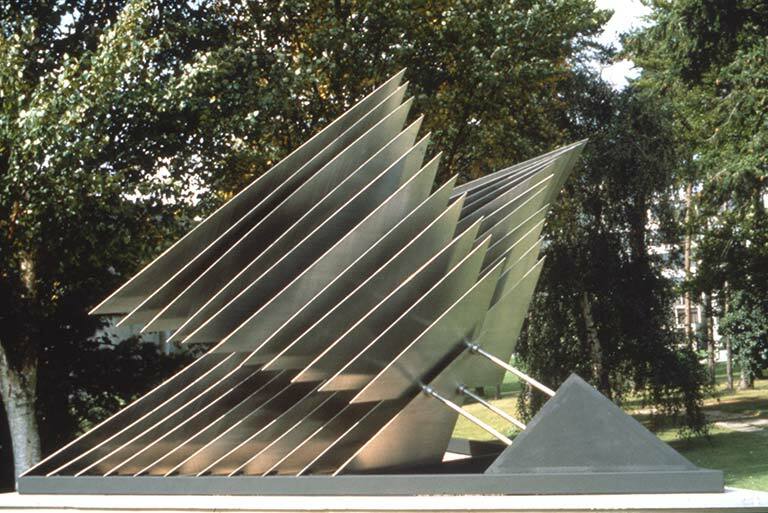 The sculpture is composed of 10 layers each of 3 triangular plates of 3mm thick stainless steel. The plates are held apart by stainless spacers allowing 5 cm between each plate. This gives the sculpture a feeling of openness and light. It also creates interesting optical phenomena. 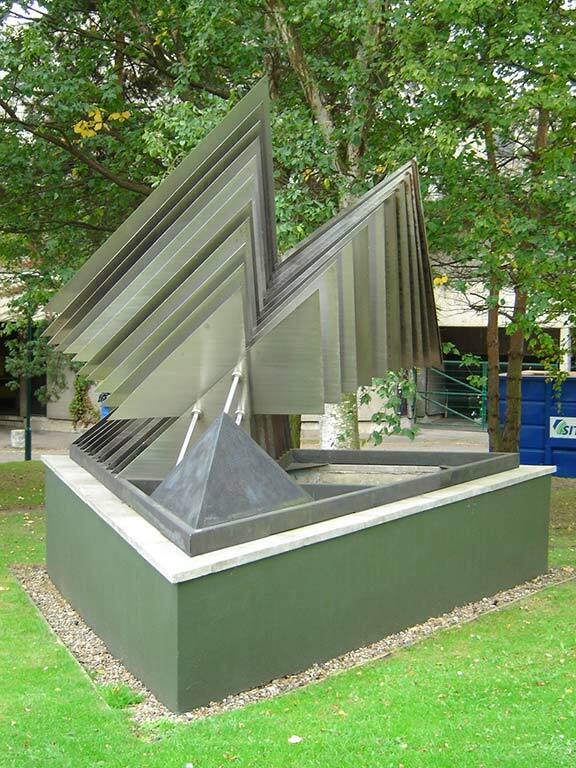 In 1992, the sculpture was re-sited in a garden in front of the Library of East Anglia University.